The more I listen to the A Delectable Education podcasts and read through articles pertaining to Charlotte Mason philosophy, the more I am convinced that somebody needs to make a Charlotte Mason For Dummies curriculum. When I'm done immersing myself in the world of all things Charlotte and have searched the entire internet for the most streamlined way to stay true to her as well as figure out how to understand them so I can implement them properly I may succeed in building that curriculum myself. 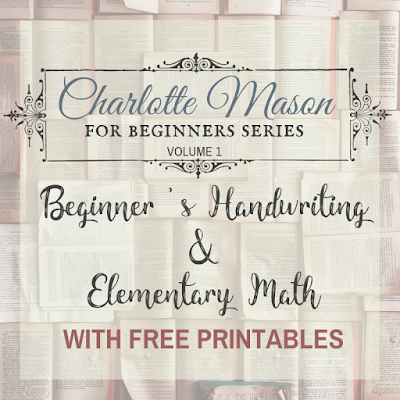 I went on a simple search for the proper basic strokes to teach beginner's handwriting. Hoping, it turns out, in vain for a simple 8 1/2 x 11 poster with the strokes to start us on our path to proper handwriting. I was also hoping to locate some cards to teach the proper D'Nealian capital & lowercase alphabet to learn proper handwriting. So, what's a girl to do? Make it herself. 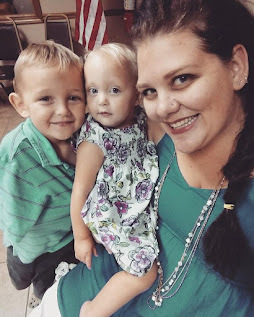 I have not been able to figure out how to make a printable for the proper strokes, but I was pointed to this page that you can use as a resource. What I'm looking for is a bit different, so I ended up designing some of my own to use. 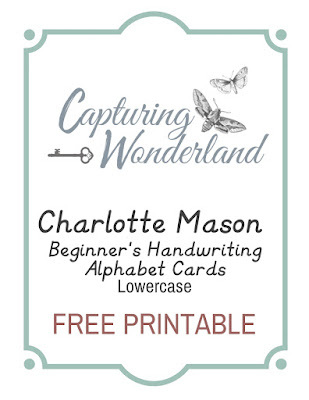 These printables are simple and easy to use as a reference for your child while they practice the letters themselves. I plan to cut them out and laminate them so they can go in my daughter's school container. You're welcome. Just click on the photo to download the free printable. 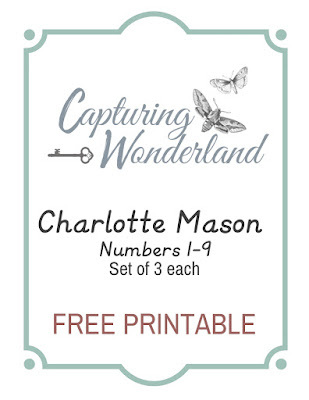 And as a BONUS, you're welcome, here are some printable number cards 1-9, set of 3 each. 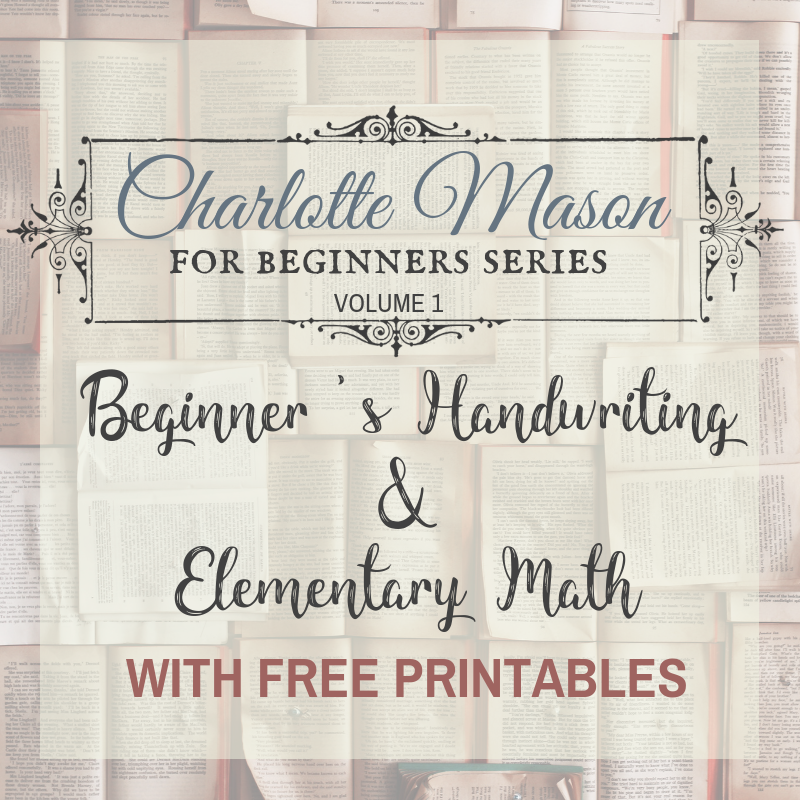 In case you're working through Rachele Baburina's The Charlotte Mason Elementary Arithmetic Series, Book 1 just like me and need them for your supplies.